War Grave Register notes: STEVENS, Tpr. Harold Rowton, 840. 11th Australian Light Horse. 7th Aug., 1916. Age 27. Son of Frank James and Emma Stevens, of Colton Vale, Mackay, Queensland. 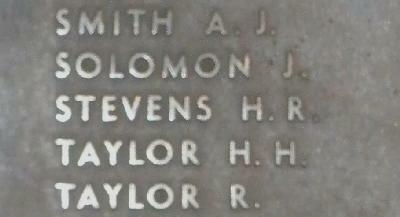 Other details from Roll of Honour Circular Second given name Rowton on ROH.